In the dark days before the craft beer boom of the 1980s, much of the beer sold in America was as uninspired as the generic bars that served it. 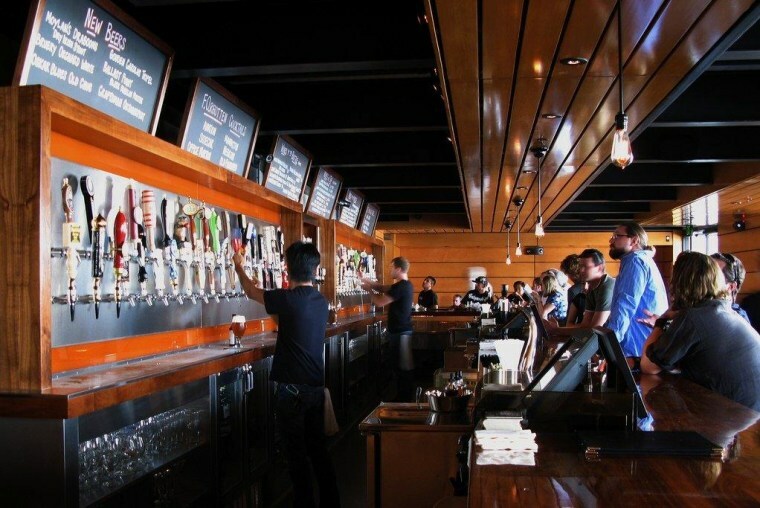 But now historic beers, micro bottlings and hyperlocal selections fill bars worth traveling to, from Brooklyn’s geeky Belgian bottle specialist Spuyten Duyvil to New Orleans’ tavern Bulldog, which encourages customers to try all 50 pours over the course of their visits by handing out punch cards. It's not just big cities that are getting all the good bars. In the small town of Luddlington, Mich., The Mitten Bar's co-owner Megan Payment draws customers from across state lines by securing rare, Michigan-only beers. “Once there were guys who heard that we were going to throw Bell’s Hopslam on tap … and they said they were going to drive here from Iowa,” Payment recalls. The Hopslam Ale is made in Kalamazoo with pungent, aromatic hops and a dollop of honey.